Are you having a hard time finding a dog leash that can keep up with your active lifestyle? You’re not alone. Many adventurous dog owners typically go through several leashes a year just to keep up with regular walking and hiking. But, because you love taking your high-energy pooch with you when cycling doesn’t mean that you have to constantly purchase a new leash every few months. The good news is that there are high-quality leashes out there that are designed to withstand the rigors of regular biking and other outdoor activities. To help you find an ideal option for your pup, here are some of the best options available for you to choose from. As the brand name implies, the Bike Tow Leash is made for dog owners and their pups that like to cycle along dusty trails. It comes with a dedicated bicycle attachment that’s specifically designed to keep up with high-energy outdoor activity. It’s safe to use because it offers ample space between both of you to prevent you from running over your pup when cycling at high speeds. Keep in mind that this leash is specifically designed to cater to avid bikers and their dogs. So it’s designed to guarantee safety and performance on the trail. It will keep your dog at a safe distance while running beside you as you cycle along, and this is all thanks to the attachment’s rigid design. Not only that but this leash will give you an upper hand as it’ll enable your dog to propel you forward when riding. In the end, you’ll both have a great time burning calories and filling your lungs with fresh outdoor air. Bike Tow has created a marvelous leash attachment that offers strength, durability and optimal performance. It’s well-constructed and easy to install and use. The best part is that you can attach this leash on either side of the bike and it will work just as well. If you’re shopping on a budget but you are still looking for a top quality option, the Walky Dog leash attachment is a good choice. It’s made of high-carbon stainless steel with an internal shock absorber that will help to mitigate any tugs and pulls that your dog makes while running alongside you on the trial. This leash also features 550-pound paracord pull strength and it’s an adjustable leash that you can extend by up to 6.5 inches. You’ll be glad to know that it’s resistant to rot and mildew as well, which is great news since you’ll be using it in the outdoors most of the time, and it won’t fade due to sun exposure thanks to UV resistance qualities. Another notable feature is the quick-release mechanism which works hand in hand with the push-and-lock feature that ensures flexible movement and safety. This dog leash attachment is suitable for dogs of all breeds and sizes, and it comes highly recommended for active pups. But many dog owners recommend adding a leash to use in addition to this attachment if you want maximum control. The Walky Dog bike leash attachment lives up to its durable and cutting-edge design with impressive performance. It’s easy to install and use, and we especially like the fact that you can attach it on either side of your bike. Safety is paramount when riding a bike alongside your dog out there and that’s what this leash attachment specializes in. It helps to keep your dog close but at a safe enough distance for it to enjoy the walk and not get too close to your bike’s wheels and gears. With the Woof Cycle Bike Trotter, there’s no risk of your dog pulling you over. You’ll be glad to know that this attachment is easy to install and use, plus it can handle large dogs without any problem. You can quickly fold it up and store it away when not in use and it’s perfect for taking a leisurely bike ride on a beautiful day. This bike leash for dogs is easy to install and use, thanks to its foldable and flexible design. It’s durable enough to handle different circumstances and elements, plus it’s made to ensure safety on the trail. Dog Care has designed this leash so that it’s easy to install on the back of your bike and it’s suitable for bikes of all types and sizes. 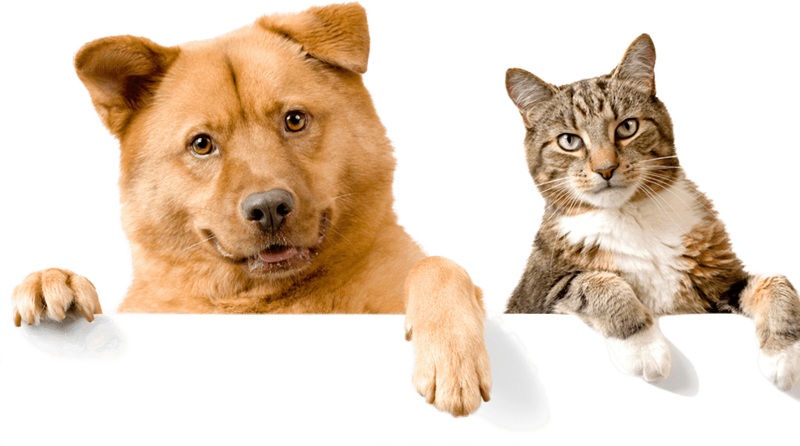 Plus, the manufacturer offers heavy-duty and standard options for different dog breeds and sizes. It’s certainly ideal for fast-paced riding and it offers incredible flexibility. However, it’s worth noting that this leash attachment is not suitable for bikes that have rear suspension and disc brakes due to the rear-mounting system. But the design has been optimized to ensure the safety of both the dog and the owner. This is a good quality leash attachment that’s constructed from hardy stainless steel and it’s available in different sizes which is quite rare. Plus, it’s perfect for fast-paced and high-energy exercise. The Springer Dog Exerciser lives up to its name with a rigid arm and durable clamp to ensure safety. The steel spring acts as a shock absorber that will allow your dog to run freely without affecting the movement or safety of your bike. You’ll have full control over your bike and you can hold it with both hands, thanks to this attachment’s mechanism. It’s designed to allow both dog and owner to run side by side while enjoying complete flexibility. This incredibly flexible yet strong leash attachment from Springer is perfect for energetic dogs with adventurous owners that lead an active lifestyle. You’ll both get plenty of exercise with this leash, and all without worrying about sacrificing safety. The Petego Cycleash Leash is designed to ensure that dog owners can enjoy all their favorite outdoor activities with their dogs. It comes with a zinc alloy clamp that enables it to actually hold two leash poles at once. That way, you can safely and efficiently switch sides. This leash also features TPR shock absorption technology, a clip holder for better security and EVA grips for ergonomic control. All of this is available at an alarmingly low-price range considering all that you’re getting, and it’s incredibly easy to install too. After researching on this leash, we can confidently say that it works as advertised. It will keep your dog in the same position and won’t compromise the performance of your bike. Plus, it can be installed on either side of the bike thanks to the ergonomic seat clamp. Now, this is a proper bike leash if we’ve ever seen one! It comes with amazing features as a stainless steel frame, a 16-inch reach that you can adjust to reach up to 40 inches, as well as a shock absorbing bungee. This is a flexible leash that’s easy to install. You can attach and detach it from the bike in mere seconds to make sure that both you and your pup are comfortable. You’ll both get hours of exercise thanks to this Head Tilt bike leash, and it’s really quite simple to use. If you’re looking for a bike leash that won’t take up too much of your time with complicated setup, then you’ve found it. With its straightforward design and adjustable shock absorbing bungee, this is the perfect choice for someone that wants to enjoy their time outdoors without worrying about pesky equipment. Modern dog owners are lucky; we now have access to almost all the tools and devices we need to lead a full, healthy and happy life with our pups. 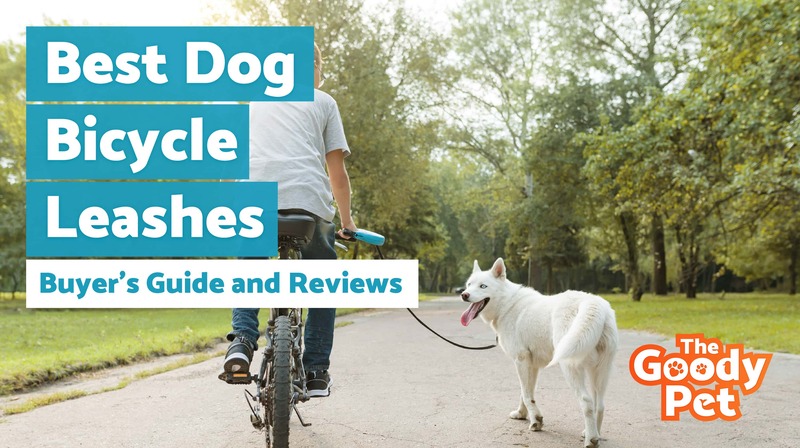 The biking leash is an awesome addition to your accessories as a dog owner, but you need to know what you’re looking for if you’re to find one that absolutely meets your needs. The best way to ensure safety when you’re out biking with your dog is to keep him at a safe distance from your bike. That way, your pooch won’t bump into your bike or suffer injuries because of a stifling leash. For the best results, look for a bike leash whose length you can adjust to ensure safety and comfort. This will depend on your [dog’s size] https://www.thegoodypet.com/puppy-weight-chart) and behavior as well, so keep that in mind too. You must find a leash that attaches securely to your bike’s seat so that it doesn’t come off when you least expect it. Keep your dog close to you at all times with a well-made bike leash that has been constructed from high-quality materials. We recommend steel, aluminum or even leather depending on your preferences. Along with durability, it’s important to consider comfort and that usually comes from lightweight and flexible materials. A majority of the leashes on our list are suitable for use on either side of your bike, but there are some out there that require you to choose. Think about your most comfortable side and base your choice on that. You’ll also do well to pick a bike leash that’s easy to install and use. Most models come with a clamp mechanism that will make things easier for you as they don’t require the use of tools. Unless you’re a DIYer, we advise that you stay away from bike leashes that require tools for installation as that will slow you down. Do you enjoy taking your dog on walks and bike rides? Then you should get a dedicated bike leash that will keep him safe and secure while he runs alongside you. In this guide, we’ve provided you with all the information you need to make an informed buying decision, but if you’re still feeling a bit confused, we have a suggestion for you. Why don’t you try the Bike Tow leash? It comes highly recommended with a 5-star rating from American Pet Association and comes with all the features you’ll need in order to enjoy fun outdoor adventures with your pooch. So don’t hesitate and give our top pick a chance now.